Grind all the above ingredients in to a paste. In a mixing bowl add all the above ingredients except coriander leaves and mix it well. Marinate it for for 6 hours. Add the marinated mutton in the pressure cooker. Close the lid of the cooker and give 4 whistles or till the mutton has cooked. Once the pressure releases, garnish with coriander leaves. 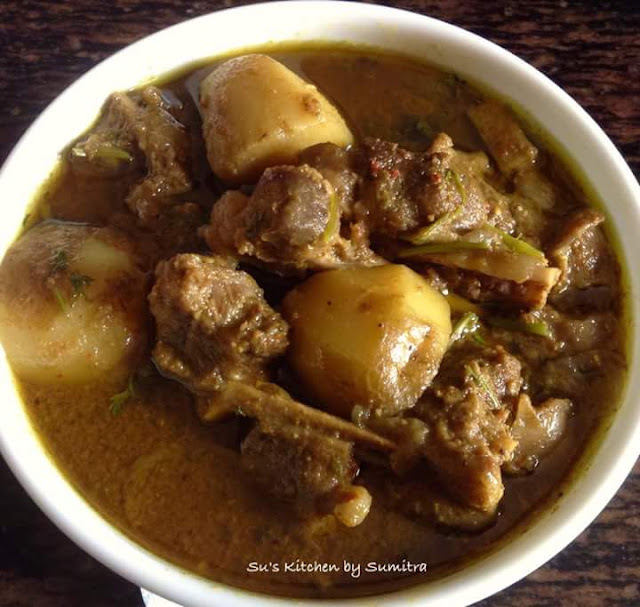 It is ready to be served with hot rice or roti.